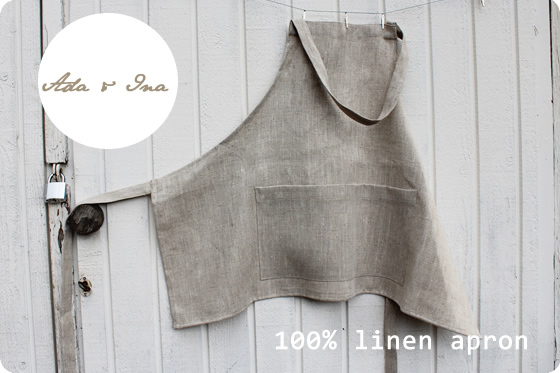 Linen apron is our most popular linen product. We have sold to many restaurants all over the world. Linen fabrics are not just restricted to soft furnishings or for the quality sector of clothing design. It is a fabric very much in use for practical purposes. It is a fabric also made for the demanding use in professional or home kitchen. Linen fabric has the greatest qualities to absorb moisture, which is the reason why pure linen is used for linen aprons, tea towels and linen napkins. Of course linen will also look so much better than any other fabric. Ada & Ina has a selection of linen products which can be purchased from the online shop. Our Tea Towels are also perfect for promotional use - there is not treatment on them so they can be easily printed with screen print. 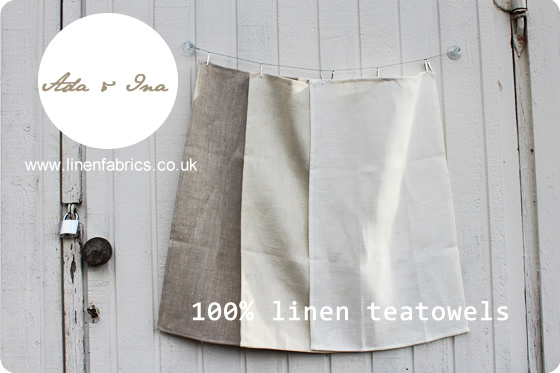 For larger quantities of Linen aprons and tea towels we can offer a trade discount available. Please apply for a trade account on our website.